Like any other mobile app, the Snapchat app team continuously sorts out errors and add amazing new features. You have to update your Snapchat app to enjoy these new amazing features. 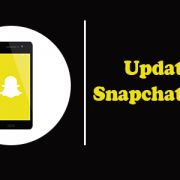 The Snapchat app is available on both Android and iOS devices operating systems and they are built to automatic update. However, if you disabled the auto update and now you need the new features there is a way out. Here’s a guide to update your app when a new version becomes available. 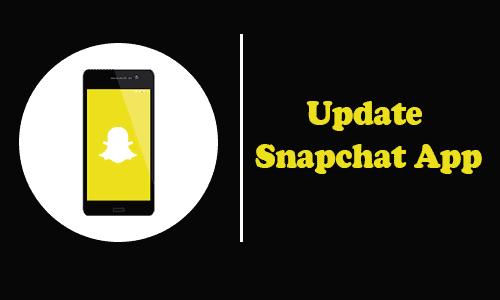 Snapchat app updates are usually made available on the iTunes App Store and Play Store for Android devices for iOS and Android users. Open the App Store app on an internet-enabled iPhone or iPad. Next, go to the Updates tab. Then scroll to the bottom find and tap the button to update Snapchat. Finally, Tap UPDATE next to Snapchat to update the app. Then wait for a couple of minutes (depending on your connection). And you’ll be able to open the new version of the app to start using it. First, Launch the Play Store app on your Android powered device. Next, Tap the menu on the upper left-hand side of the Snapchat app. Then Select My apps & games from the menu list. From the UPDATES tab at the top, find Snapchat in the list of updates. If a Snapchat update is available, you can tap UPDATE to get it. The update procedures are very similar as well as straight forward. Snapchat constantly includes new emojis, filters, and other feature. Am sure you do not want to miss out on. After updating your Snapchat app and still can’t find some feature, just head to setting and turn on new features. Go to settings, by tapping profile icon on the upper left corner of your Snapchat app. Then tap Manage under the ADDITIONAL SERVICES. There you can configure your settings for Snapchat filters, Snapchat emoji, Snapchat friend emoji, and Snapchat permissions.